How to buy a Bitpie TX Accelerator? How to use Bitpie TX Accelerator? 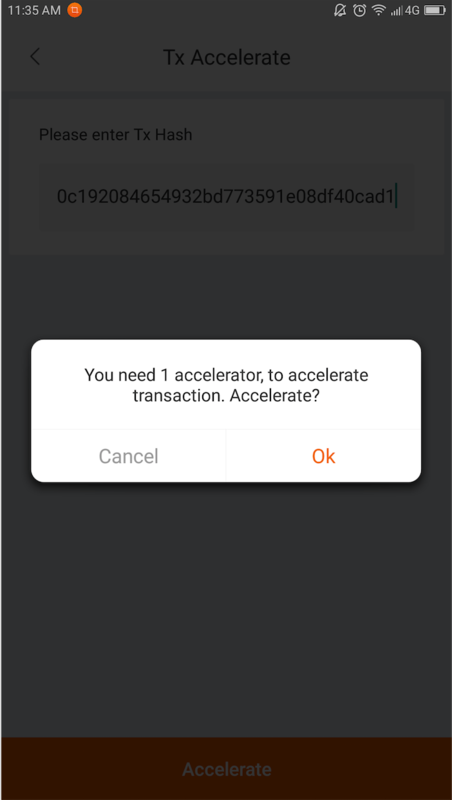 TX Accelerator is designed for unconfirmed transactions to accelerate and an accelerator only corresponds to an unconfirmed transaction. If rely on more than one transaction, you may need more than one accelerator. Bitpie accelerator can speed up Bitcoin transaction on any platforms. You can buy a TX Accelerator by Bitcoin or RMB. You can find TX Accelerator in the Bottom Menu - My - TX Accelerator to buy. After buying TX Accelerator, you can view the numbers of TX Accelerators on its Interface. My - TX Accelerator - Upper right corner (acceleration). 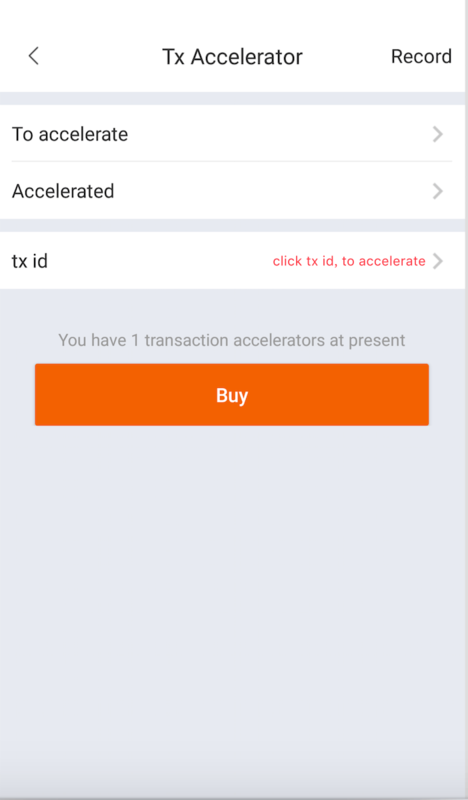 On TX Accelerator Interface, you can check ‘To Accelerate’ and ‘Accelerated’ transactions. You can select a transaction in the ‘To Accelerate’ list and click ‘Accelerate’ button to speed up. 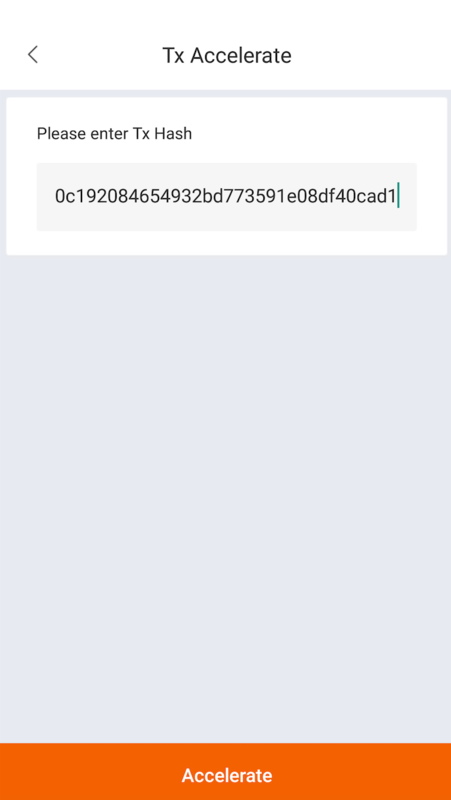 Tx_id can assign one Bitcoin transaction ID to accelerate (Please enter the correct transaction id. Don’t contain spaces and other special characters).